Given the catastrophic housing shortage in post-war Germany, housing construction had top priority. This is why in 1949 KfW began providing low-cost financing for housing construction. By 1950, 350,000 homes were completed at a capital outlay of EUR 1.8 billion. KfW thus achieved a financing share of twelve percent for the housing construction sector. 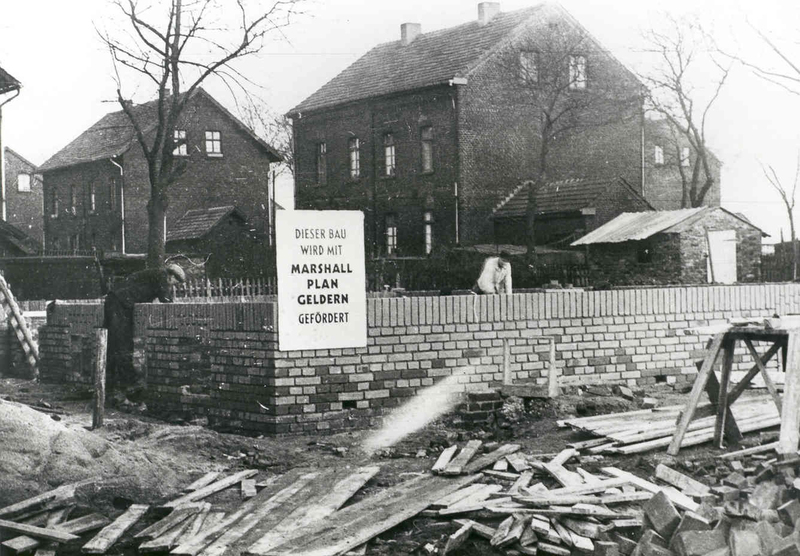 By the end of 1953 KfW had committed a total of EUR 318.5 million for housing construction. 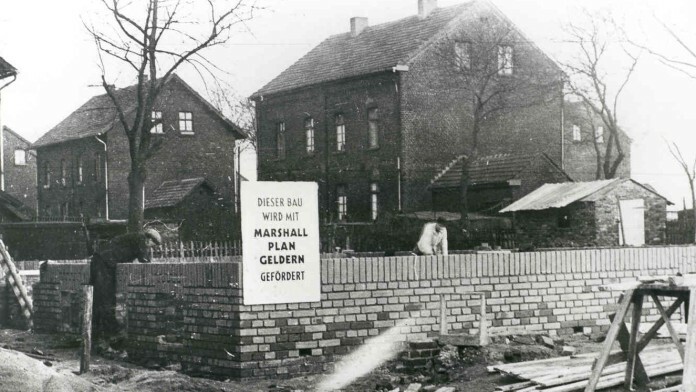 During the second half of the 1950s, KfW channelled an increasing volume of European Community funds for coal and steel into housing construction – chiefly to promote housing for miners. By the 1960s the promotion of domestic investment as a whole had come to play a minor role, which meant that housing construction also lost importance for KfW. This did not change until the late 1980s. In 1985 KfW began by expanding its own programmes in order to boost activity in the flagging construction sector. In the autumn of 1989 a housing programme worth EUR 766.9 million was launched to create rented apartments in existing buildings. In the early 1990s German reunification brought a new dimension to housing promotion. In October 1990 the housing modernisation programme was launched in the new federal states in eastern Germany. Initially it was private property owners who very keenly took advantage of the programme. Later on the programme was used to rehabilitate and modernise prefabricated concrete housing estates. In the 1990s to early 2000 alone, over 3.6 million homes were modernised using funds from the housing modernisation programme – equivalent to half the number of homes that existed in the GDR when the wall came down. In 1998 the KfW housing programme was expanded as part of the German Government's employment initiative. Since the mid-1990s KfW has been extending low-cost promotional loans to support young families all over Germany in buying their own homes. Since then, KfW has helped over a million homeowners turn their dream of living within their own four walls into reality. In the last couple of years KfW has introduced a stronger focus on helping protect the environment and mitigate climate change in its housing promotion activities. KfW had already launched an initial programme to reduce CO2 emissions in 1996. In February 2006 the German Government and KfW then started the extremely successful "Housing, Environment, Growth" programme. Since then, the energy-saving rehabilitation of residential buildings and the construction of new energy-saving houses have been at the top of the agenda. KfW finances not only climate and environmental protection investments but also those that address the “demographic change” megatrend. Promotional programmes cover a range of areas, from broad-based home ownership through energy efficiency to investments in accessible, age-appropriate housing.